Russia are through to the last 8. The currently ongoing 2018 FIFA World Cup has finally come halfway of the tournament. The spur that these games have been creating has enticed every football follower in the world. This time, Russia is hosting the frenzied tournament and welcomed the other 31 countries to their homeland. The host nation undergoes immense stress to keep the trophy home. This mental strain has been dealt with by various other nations who hosted the games previously. Sadly, only six out of 20 host countries have managed to steal the title. It’s not only disheartening for the players but the home crowd as well who may get to witness the remaining games without their team or worst, see them loosing at the final stage. There is no great advantage than having a 12th player beside and the home crowd acts as one. 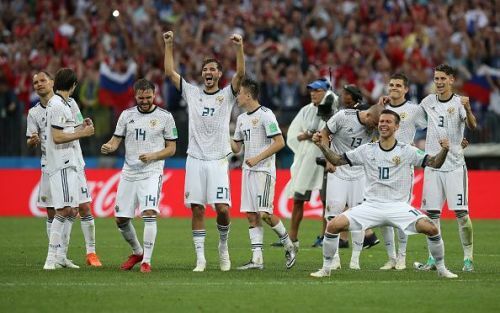 Currently, the pressure is on Russia who experienced tempestuous celebrations after beating Spain and qualifying to the quarterfinals. Russians saw a wave of hope and optimism after 48 years. The inaugural world cup was won by the respective hosts- Uruguay. The South American side followed their Olympic glory two years back in Amsterdam, with an emphatic victory to become the world champions. Coincidentally Argentina were in the other corner in both these matches. Uruguay went unbeaten throughout the tournament thus making their victory even more memorable. 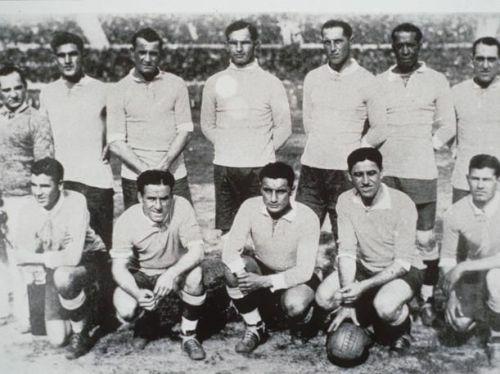 The very first world cup featured just thirteen teams from which Uruguay Argentina, USA and Yugoslavia managed to reach the top four. Uruguay saw off Yugoslavia in the semifinals with a 6-1 victory while Argentina demolished the USA with an identical scoreline in the other semifinal. Thus an all South American semi-final was played at Estadio Centenario to crown the first world champions. Uruguay beat Argentina 4-2 in the final and thus became the inaugural world champions.